The time to optimize voice search for ever-more strategic marketing is now. Here’s why. According to Gartner, the world’s leading research and advisory company, 30 percent of our interactions with technology are now through conversations. And that’s just the beginning. Thirty million voice first devices are used in the U.S. alone…and projected to soar to 1.8 billion over the next two years. What’s more, Google reports about 20 percent of all mobile inquiries are voice searches. And even more interesting, Thrive Analytics found that people in just about every age group now use mobile personal assistants. What are they using them for? Frequently, they are relying on voice to search products and services near them, like “pizza shops open after 10 pm” or “banks with lowest mortgage rates,” and just about anything else you can imagine, including asking for directions, finding out movie times, playing music and checking facts while watching TV. But…what does this new frontier mean for brands? And how can marketers truly optimize Siri, Alexa, Echo, Dot, and all the rest to get their brand in front of today’s (and future) screenless users? Optimize your website for conversational language. Since voice searches are more conversational than typed searches, keywords themselves are not only important. How they are used in everyday language is now also critical for effective search…and making content discover-able. For instance, typed searches tend to use keywords in short phrases while voice searches tend have more long-tail keywords and are often phrased as questions. Why is this significant? Because if pages on your website are not optimized for voice search, your content can’t and won’t be discovered. So, if your bank website lists “branch hours” or “hours of operation” but people actually search for this information by asking: “When does [Bank] close?” your information is not as likely to be found by Google and served up to those using screenless voice search. TIP: Add new pages to your website that are specifically optimized for voice search. Tag them with appropriate titles and headlines that match how people search using voice assistants. TIP: Google your business. Make sure your profile is complete with updated hours, location, phone numbers, services, and reviews. Another reason? Because voice searches are question-based, they yield a ton of quick “snippet” results. So, if you offer content that Google can quickly find organically, that’s what is pulled in to the featured snippet box. More importantly, it’s the content that the voice assistant reads. And that your consumers hear. The question is…how can you make it easy for Google to find all that content? TIP: Leverage a glossary, FAQs or blog pages to answer common customer questions. Since voice searches are mostly questions, you can designate these pages to offer concise, easy-to-access answers to your customers’ questions and easily shape and house content to match how people search by voice. Plus, you can easily add to and update these pages to match changes in how people conduct voice searches over time. Use schema.org markup when developing websites. Not to get super technical, but Schema markup is a type of structured data that allows you to tag content on your site and provide more information to search engines. While the implementation of this data takes time, it can be incredibly valuable to your voice search SEO strategy. Instead of depending on Google to find your physical address, hours of operation, directions or phone number in your website content, why not label these important pieces of information so that they can be immediately found—and trusted? TIP: Explore the potential of “speakable schema markup” with your web team. Newly developing text-to-speech (TTS) feature will soon identify sections within a webpage that are best suited for audio playback. Adding this markup to your site allows search engines to identify the content that answers queries and can be read aloud on Google Assistant-enabled devices. Then, if the Google Assistant reads aloud a speakable section from your site, it credits your brand and sends the full article URL to the user’s mobile device through the Google Assistant app. 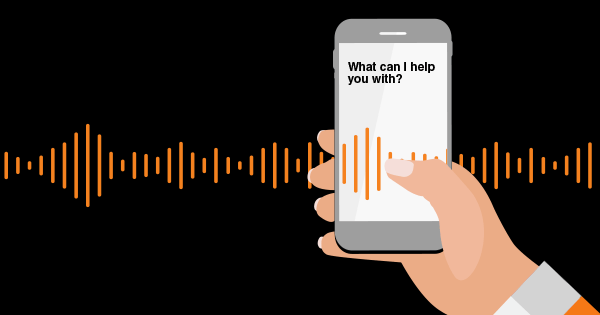 Voice search technology certainly presents new opportunities for brands to connect with their audiences. But given how rapidly the field is growing, if marketers don’t act now to harness the potential and optimize search marketing strategies, they run the risk of being left out. Now, the only question is…how will you leverage this trend?